Lake Point Fab offers Solidworks Modeling services for the better benefit of our customers. 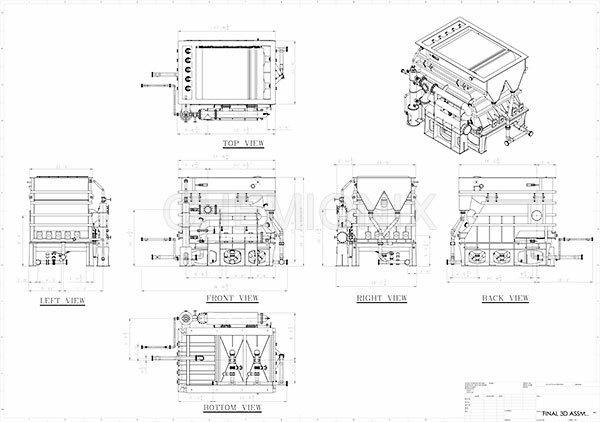 The fact is that Solidworks is the the preferred means of producing designs. With our Solidworks Design services you can get more industry standard design, test and drawings format than any other CAD technologies. It is a lot easier to design, distribute and administer your plans and data with the help of our Solidworks Design services. We offer every possible solution using Solidworks for the benefit of our clients. With the popularity of 3D modeling our services are high in demand these days and we offer a wide range of product design and modeling services for our clients. Our services extend to every level of product design and construction modeling with perfect precision. Our team of experts specializes in providing the exact details of design and 2D and 3D modeling according the needs and requirements of our clients. Solidworks Design services can get you the exact statistics and 3D Models as you need with perfect precision. There is no longer any need of relying on manual drawings and the long process of completion of your plans. SolidWorks 3D CAD tools: This enables us to transform you innovative ideas into reality designs. SolidWorks Simulation: For the best real world representation we make the best use of SolidWorks Simulation. It also helps us to increase the quality of the designs as well.